Dr Dish is currently topical particularly here on Techzim because of their breakup with Econet Media. The two had a content distribution agreement that effectively made Dr Dish the carrier of Kwese into Zimbabwe.In fact it was Dr Dish that announced the coming of Kwese into Zimbabwe under the title: Dr Dish brings Kwese to Zimbabwe No doubt this agreement was necessitated by the demands of the Broadcasting Services Act of Zimbabwe under which Kwese is or was not licensed but Dr Dish was and is licensed. Anyway Dr Dish is undergoing an internal change itself. 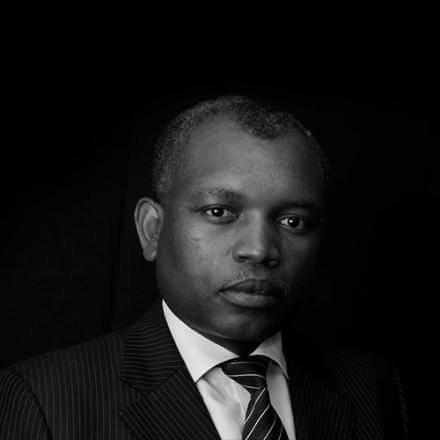 50% of the company has been transferred to Zimbabwean Lawyer Gerald Mlotshwa through his private family vehicle Ktulu Nominees after a deal that was signed over the weekend. This makes Mlotshwa’s family the largest shareholder in Dr Dish. I am very excited to announce the taking over of 50% by Ktulu Nominees representing the family interests of one of Zimbabwe’s prominent Lawyers Gerald Mlotshwa . The transaction brings in the much needed Capital to launch our exciting products and services over the Satellite Broadcasting Network in Zimbabwe and Africa Sub Sahara, within the next few days after the necessary Regulatory Notifications as required by the Broadcasting Services At Chapter 12:06. This follows a cancellation of a Content Distribution deal by Econet Media on 10 November which of course was done , illegally and without notice and are pursuing damages through an Arbitration process. Whatever the case may be between Dr Dish and Kwese, we are happy if Dr Dish is coming as a strong competitor. Competition is not very good for the businesses themselves but it is jolly awesome for us consumers. We all saw how Multichoice responded to the entry of Kwese: they lowered prices and introduced a $7 bouquet. Kwese in turn introduced 5 free channels. We believe in infrastructure sharing and interoperability of Broadcasting Apparatus, that will see viewers accessing more than 40 entrainment channels without paying any subscription and more than 110 Subscription Channels . Probably their biggest draw card will be their Tele-Learning offering if they roll it out well. Zimbabweans value education like nothing else and they will do all they can to invest in this resource. Nyasha Muzavazi says they are finalising agreements with the Ministry of Primary and Secondary Education over their tele-learning service. Techzim will investigate further what this service is and how it will be different from the usual school programming we see all around. The cancellation of our Agreement by Econet Media illegally , made us more resolute to pursue our original business model we had shelved after signing a Content Distribution Agreement with Econet Media in good faith ,as we expected the marriage with Kwese to run it’s full life . Econet media however negotiated with BAZ to run outside our license and terminated the Agreement without notice. We had to quickly look for new investors , which initiatives brought Ktulu Nominees on Board. There is surely going to be a healthy competition in the Television Media industry for the benefit of consumers. We have a lot of media products that will lower subscription rates by our competitors as we pursue disruptive innovation in the Television industry for the benefits of consumers who have been exploited for a long time. We are going to see Subscription rates coming down to as low as $10 for premium channels. Well if subscription for premium content gets to $10 who would refuse that? We will see. What all players should know though is that their biggest competition is not each other, no. Their biggest competition is the internet and that competitor will only get stronger over time as access increases and cost of that access decreases for the average Tendai. Every second that Tendai is browsing the internet (even if it’s not to watch video) is a second s/he is not watching Kwese, BOSTV or DSTV. Saka if Mr Muzavasi was open to selling shares in Dr Dish why didn’t he just sell them to Econet in the first place? – it’s not as if the company/licence was active before Econet came knocking. This whole saga makes no sense. It’s not rocket science. Why would they do such an idiotic thing like selling to Econet after expressing their interest in getting into the business and the repeated emphasis on their animosity with Econet. This is business not a play game amongst kids. Do you honestly think it matters whether the Company/license was active before? So you take peanuts and try to compete with multi billion dollar giants instead – yeah that’s really good business there!!! Coz even if we don’t know the figures involved lets be honest – whatever Mlotshwa paid won’t even come close to Econet and DSTVs content buying power. We have already seen the franky pathetic offerint they are promising so far. And if they wanted to get into business for themselves all this time then why did they take the Econet partnership TO BEGIN WITH. How was that serving their purpose to be their own entity. Best deal was to sell to Econet and start your own few original channels which will also air on Kwese if you wanna be in the broadcast industry so bad. This level of the market is just not the place for tiny upstarts to make an entry. It takes money to buy GOOD CONTENT, have your decoders made, buy satellite frequencies, sign distribution partners, market your brand, put payment systems in place. ONE ZIM LAWYER’S family investments vehicle won’t cover that. BILLIONAIRE Strive Masiyiwa had to tour the world to find that money and issues special shares, get loans etc. But this what they are trying now – people lose everything behind such stupidity and arrogance. Sour grapes on the part of Dr Dish, which doesn’t sound business sense in this cutthroat world of business.